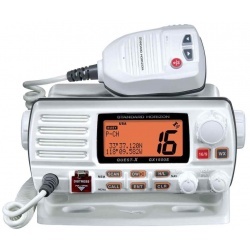 VHF marine radio	There are 2 products. Equipment for VHF marine radio fixed and portable (walkie-talkie). Antenna fiberglass, SB 3 M Sirio, for VHF Marine 156-160Mhz band. 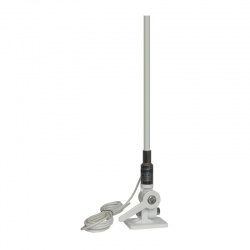 This marine VHF antenna mesure 1.4m and comes with a 5 meter cable coxial with PL-259 connector (UHF male) and the mounting bracket for boat.